This week has been a little shaky for bitcoin and the bitcoin community. The issues continuing on from last week from Mt. Gox to the battle of government regulations have had an effect on the value of a bitcoin. The value of a bitcoin has recently decreased to about the $600 range and the volatility of the digital currency has been noticeable more than ever. Regardless, people continue to invest in the bitcoin market and the flag of hope is still being held on to with much persistence. 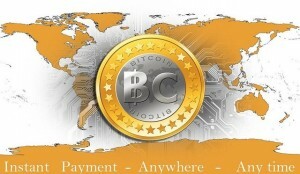 Rising to popularity in the bitcoin community during 2011, Mt. 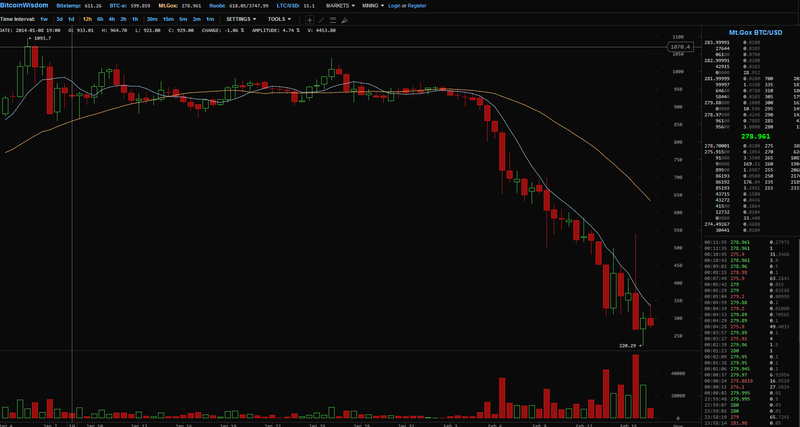 Gox has recently been dwindling on the edge of collapse. The dilemma that started on February 7th as a result of a technical issue has continued on to this week. Frustrations with the exchange rose and it reached a peak especially when no clear answer was being given by Mt. Gox. Withdrawal transactions were suspended starting on February 7th and they have continued onto this week as well. Mt. Gox finally released statements stating that the issue was not with its exchange but rather the bitcoin protocol. It stated “the problem we have identified is not limited to Mt.Gox, and affects all transactions where Bitcoins are being sent to a third party. We believe that the changes required for addressing this issue will be positive over the long term for the whole community. As a result we took the necessary action of suspending bitcoin withdrawals until this technical issue has been resolved. Mark Karpeles, president of Mt. Gox, released a document defending his bitcoin exchange website. He said that the software Mt. Gox uses was created in 2011 and has not been updated since. “The bitcoin client is not meant to handle the kind of load MtGox has and was having more and more troubles, lagging and crashing. We created our own implementation to solve those issues and to offer a better flexibility to our customers.” Moreover, he stated “While we followed most of those update[s] we were more and more busy and couldn’t keep up with all the changes.” It seems to be that Karpeles, did not actually end up defending Mt. Gox but rather he ended up putting it in deeper waters. The technical issue raised by Mt. Gox did have a positive effect on the bitcoin community and exchanges. 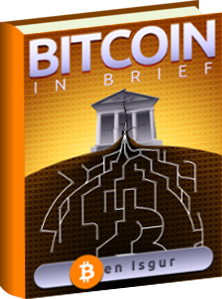 It raised awareness for the bitcoin community as a whole to recheck the bitcoin network. For example, Bitstamp rechecked their bitcoin network processing system and found non-matching data. “Currently it has suspended processing Bitcoin withdrawals due to inconsistent results reported by our bitcoin wallet, caused by a denial-of-service attack using transaction malleability to temporarily disrupt balance checking. 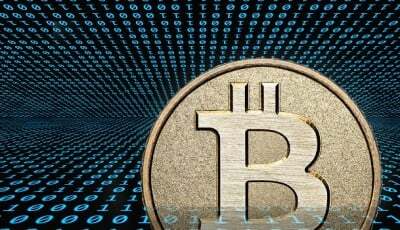 As such, Bitcoin withdrawal and deposit processing will be suspended temporarily until a software fix is issued,” said Bitstamp in a released statement. But the issue, thankfully, was resolved within three days. The lesson taken from this is that the problem was identified and necessary actions were taken to quickly resolve the issue. Also, Coinbase, a popular bitcoin exchange, rechecked their system after the news about Mt. Gox’s technical issue. They stated that their system was up and running and they did not find anything wrong with. Furthermore, they stated that they have upped the security in their system for extra safety measures. It seems Coinbase is doing well. Let’s hear it for Coinbase! On the other hand, hackers tried to infiltrate the bitcoin network. “This is a denial-of-service attack. Whoever is doing this is not stealing coins, but is succeeding in preventing some transactions from confirming. 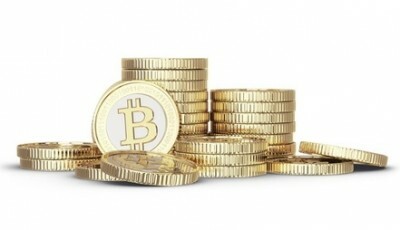 It’s important to note that DoS attacks do not affect people’s bitcoin wallets or funds,” said the Bitcoin Foundation. While the attacks do not affects people’s bitcoin wallets, it sure does cause a lot of nuisance. The infamous website, Silk Road 2 was hacked out of all its bitcoins. That is a total of 4474.266369160003 BTC which is approximately worth $2.7 million. All withdrawals and transactions were suspended to figure out the root of the problem. JP Morgan took the news of the value of bitcoin decreasing in stride and decided to rub salt in wound. 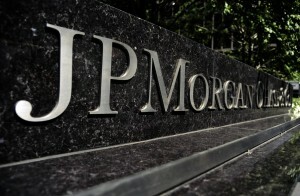 John Normand, Managing Director and Head of Global FX Strategy at JP Morgan stated “bitcoin looks like an innovation worth limiting exposure to. As a medium of exchange, unit of account and store of value, it is vastly inferior to fiat currencies.” His comments came right after the news about Mt. Gox and Bitstamp. At one point in time, the value of bitcoin was about $1,200. Bitcoin is still relatively new as a system, so chinks are being worked out of its system. Even with all the negative news about bitcoin being spread from paper to paper, one thing remains, which is the faith that people still have in the bitcoin system. Flower Delivery Hong Kong, online flower delivery site, introduced bitcoin payment option to its site recently. Their method in this uncertain bitcoin time period is to accept the bitcoin payment and quickly convert it back to fiat money. Leslie Wu Wai-Leung, the director of the online shop, commented on the advantages of dealing in bitcoin as compared to PayPal. He commented on the issue that customers face when the delivery and billing address do not match up when using PayPal. Payal’s policy on this matter is to flag such transactions because they are deemed to be a threat. With bitcoin, the process of ordering flowers is much easier and hassle free. BloomNation, another online flower shop, is accepting bitcoin as payment for flowers. The glitches in the bitcoin network are being worked out and you have to give credit where credit is due. Bitcoin has not failed as a system and it is still holding strong. The upcoming days and weeks will reveal much about bitcoin and the network as a whole. As you can see from this bitcoin weekly report, the digital currency has seen challenges this week, but has remained resilient in the end. This has been a bitcoin weekly report from Coinreport, stay tuned for more.